Mike started learning his trade at the early age of 16, under the tutelage of top New Zealand trainer Dave O'Sullivan and gained a foothold in the training ranks from an initial partnership with the famous mentor, taking the position as Dave O’Sullivan’s foreman. After six successful years Mike was sent for a six week working holiday to Melbourne with Angus Amanasco, where Mike observed another master in the trade. Mike Returned to New Zealand to train alongside Dave for the 1981-82 racing season, the 1982-83 season saw Mike branch out on his own. This move bought about Mike's attainment within the racing industry, and to date Mike has been among the leading trainers for almost two decades in New Zealand. After 18 years Mike decided he would take on Australian Racing, moving to Morphettville in 1999. Mike spent two and a half years in Adelaide before moving to his well appointed Flemington base. 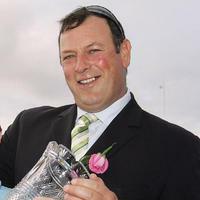 Mike quickly forged his way to the top of the Victorian scene, the proof is among his host of achievements including 47 Group One wins, two New Zealand training premierships with a top five finish on 16 occasions and the acclaimed Fred Hoysted Award for training excellence in Victoria at only his third full season in the state. Michael numbers victories at all ends of the Group One spectrum, two-year-olds in the Blue Diamond Stakes, Ford Diamond Stakes (twice) and Manawatu Sires' Produce Stakes, classic three-year-olds in the New Zealand Derby (three times), New Zealand 1000 Guineas, New Zealand 2000 Guineas, New Zealand Oaks, Victorian Oaks, South Australian Oaks, Queensland Oaks, VATC 1000 Guineas, Spring Champion Stakes and Victoria Derby (twice), top sprinters in the Railway and Telegraph Handicaps and high class stayers in the Melbourne and Wellington Cups. The Flemington and Matamata stables compliment each other, the former allowing increased prizemoney opportunities for the latter's graduates. Ballymore Stables utilises Paul Moroney Bloodstock as its bloodstock consultant for purchasing young racing stock and this combination of selection and training has become one of the most potent modern day horse racing forces.